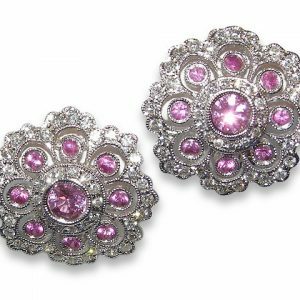 I am often asked to create an earring that is similar to the stud yet also offers another choice in terms of design. 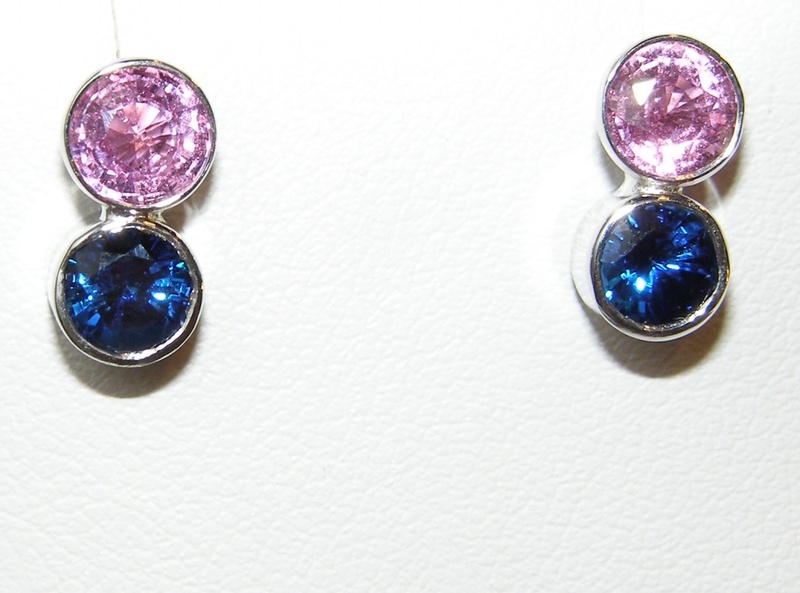 These earrings wear just as easily and comfortably as studs and show off the vibrant beauty of both Ceylon blue and pink sapphires. 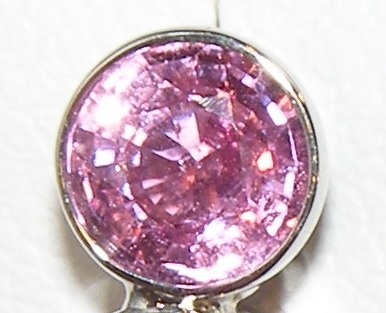 The pair of Ceylon pink sapphires is eye-clean (the photos show some microscopic pink pint inclusions), medium pure pink color, excellent color saturation and bright pink brilliance. 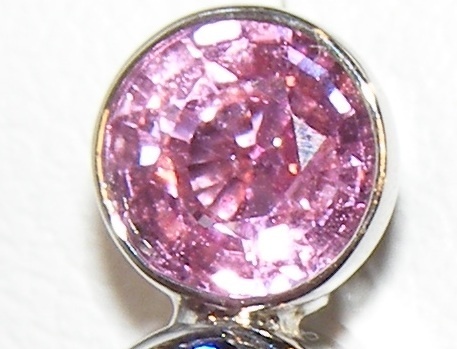 Each of the pink sapphires measures 5.25 mm round and they are 1.21 carats total weight. 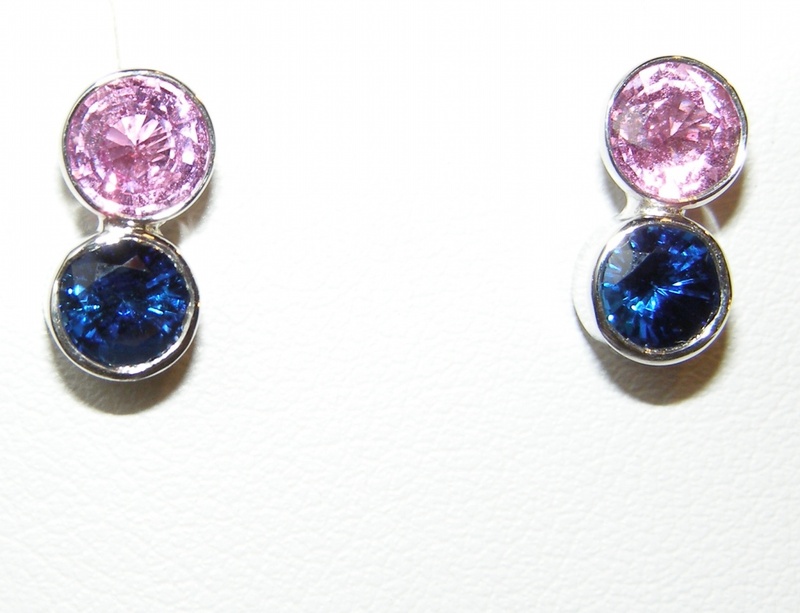 A spectacular pair of Ceylon rich cornflower blue sapphires are coupled with the pinks. 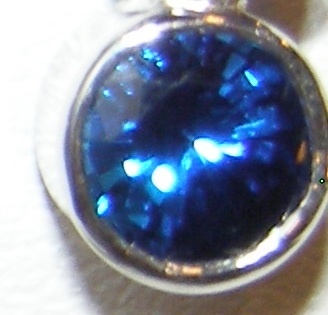 The blue sapphires measure 4.5 mm round, weigh 0.80 carats total weight, have near loupe clean clarity, rich cornflower blue color (at an optimal level of saturation) and super bright blue brilliance. 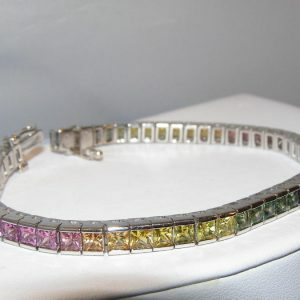 Each stone is hand bezel set in 18KWG. The earrings are 11 mm or just a bit less than 1/2″ in length.